Aloha Community Farmers Market | Serving Aloha, Reedville, Cooper Mountain and Beyond! 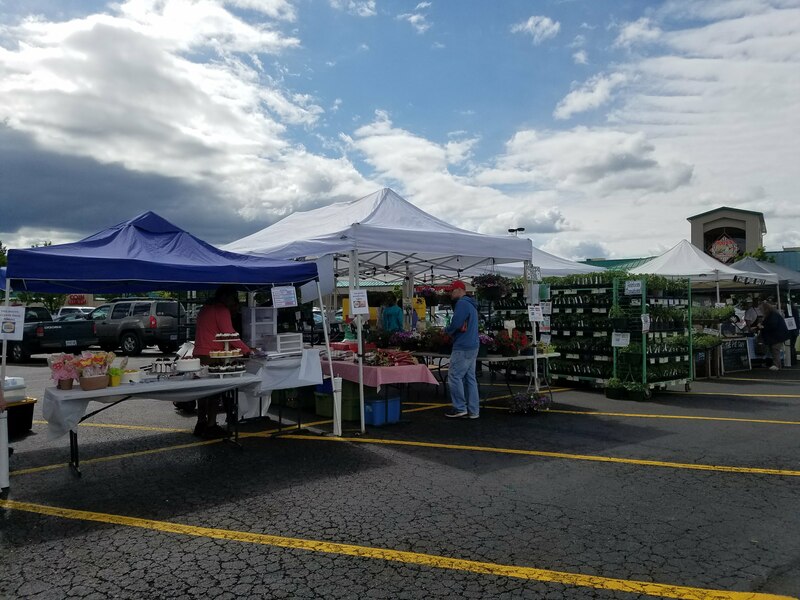 The Aloha Community Farmers' Market (ACFM) began in May 2016 and serves as a summer (May-September) market for the unincorporated areas of Aloha, Reedville, and beyond. Our market was founded based on the 2014 Aloha Reedville Study and Livable Community Plan that indicated a strong desire for a local farmers market. ACFM is also a 501(c)(3) non-profit whose mission is to strengthen our local food system, economic vitality, and community identity. Our market aims to achieve its mission by providing access to fresh, local food sold directly from regional farmers; educating our community about the importance of good nutrition and environmental health; supporting local businesses and business owners by hosting them at our 2nd Thursday Makers' Markets and community booths; and hosting cultural events and activities to celebrate our community’s diverse population. ACFM is managed by Market Manager Kody Harris, an all-volunteer Board of Directors, and volunteers who believe in the importance of our market’s goals. The 2019 season begins on Thursday, May 2nd and goes until Thursday, September 26th (We will be closed on the 4th of July). We will be in a brand NEW LOCATION in front of the Bales Farmington Market Place at SW Farmington & SW Kinnaman Roads in Aloha (directly across from Mountain View Middle School). We hope to see you there! In the meantime, connect with us on social media (below), and if you have any questions or thoughts, touch base with us at alohacommunityfarmersmarket@gmail.com. Thanks! ACFM takes place every Thursday from 3-7 pm and the 2019 season will go from May 2-September 26. Check out our website for more information about this season's vendors, events and Market Sprouts Kids' Club activities, market sponsorship, and ways to volunteer or donate. Thank you for being a part of our growing market community! Sign Up for ACFM's Weekly Newsletter! Thank you for signing up for ACFM's weekly newsletter! Look for weekly emails from us during the market season. And come see us every Thursday from 3-7 pm at Thriftway Marketplace in Aloha! Thanks for being a part of our growing market community. Thanks to a donation from the local Aloha Food Brigade, ACFM is able to match Supplemental Nutrition Assistance Program (SNAP) benefits! The primary goal of our market is to increase local food access to our community, and this is one of the most direct ways we can help provide fresh, local food to those who may not usually be able to afford it. What this means: If you purchase $10 in EBT tokens with your SNAP/Oregon Trail Card, we will match you with an additional $10 dollars so that you have $20 to spend at the market! Next time you attend our market, go to the Market Booth at the market entrance to get your tokens and take advantage of this awesome opportunity. Please note: All Federal SNAP rules and regulations apply, the match is limited, and additional restrictions apply. See market staff at the Market Booth for more information. Here in unincorporated Aloha, we look out for each other. Our market serves as an access point for fresh, local food and homemade products straight from our community. You can be a part of improving fresh food access in our community by becoming a market sponsor or donating today! Click here to visit our Market Sponsorship Page to learn more about sponsoring ACFM's work in our community. Or, you can make a one-time, tax-deductible donation to ACFM via our Guidestar page. Page. Don't have money to give, but still want to help? We are always in need of volunteers to assist with market day operations! Sign up to volunteer at the market by clicking here.. Thanks!